During football games normally a special appearance singer takes the microphone and sings the anthem. It is normally someone external that has nothing to do with the sport itself. During major NFL games, they get celebrities to sing the anthem, on odd occasions a child would sing the anthem and melt everyone’s hearts. During this football game, a 15-year-old football player himself picked up the microphone and left everyone speechless. 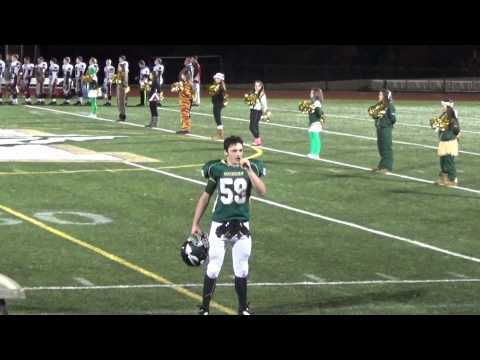 Samuel from Nashoba Regional High School in Massachusetts was in the moment and decided to sing the anthem himself as he has so much passion for the sport and the anthem. No-one expected the football player himself to have such an incredible voice and everyone’s jaws dropped.